With 20 years of experience and a higly prized reputation for quality workmanship, we are one of the premier plumbing and heating services in the region. We offer a 24 hour emergency call out service too, so if your heating system breaks down or a leaking pipe threatens to flood your home, give us a call. Check out the comments some of our clients have said about the work we have carried out on there boilers. 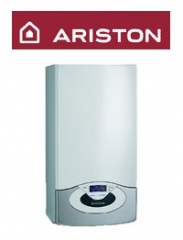 Ariston provides help with heating solutions, offering gas boilers, solar heating and much more.